Following arrest of fugitive Diamaintaire Nirav Modi in London, UK, the Enforcement Directorate (ED) Wednesday got permission from Prevention of Money Laundering Act (PMLA) court in Mumbai to sell 173 paintings and auction 11 cars belonging to Modi. Following the arrest of fugitive diamaintaire Nirav Modi in London, UK, the Enforcement Directorate (ED) Wednesday got permission from Prevention of Money Laundering Act (PMLA) court in Mumbai to sell 173 paintings and auction 11 cars belonging to Modi. The court has also issued a Non-Bailable Warrant (NBW) against his wife Ami Modi who has also been accused along with Nirav Modi and his uncle Mehul Choksi by ED in the Rs 13,500 crore Punjab National Bank (PNB) fraud case, according ANI news. As per an India Today report, the ED last week filed a supplementary charge-sheet in the PNB scam, naming Ami as an accused in the case in a special Mumbai court. She has been charged for her alleged involvement in laundering proceeds from funds obtained fraudulently from PNB through LOUs to purchase a flat at Central Park, New York for $30 million. The laundered amount is close to 30 million dollars and was routed through Ami's HSBC bank accounts which were traced by the agency, according to the report. The charge-sheet was filed by the agency on February 28, a source told India Today. UK authorities arrested Nirav Modi Wednesday from London's Holborn metro station after which he would be produced before the Westminster court at 3 pm (London time), India Today reported. 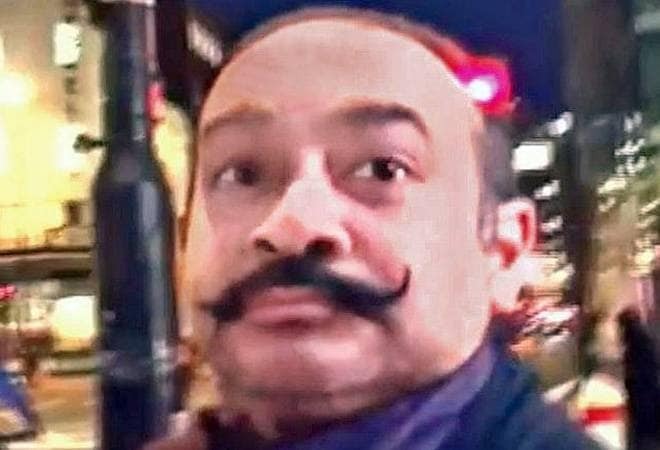 "Nirav Deepak Modi, 48 (Date of Birth 24.02.71), was arrested on behalf of the Indian Authorities on Tuesday, 19 March, in Holborn," the Metropolitan Police said, confirming the development that the fugitive businessman had been arrested. A London court had reportedly issued an arrest warrant against Nirav Modi, who is accused in Rs 13,500 crore Punjab National Bank (PNB) fraud case. The order apparently came in response to a request by the ED for his extradition to India. Modi had entered the United Kingdom on a 'golden visa' issued on his now-revoked Indian passport. It is a tier-1 investor visa issued to individuals from countries outside the European Union and Switzerland. Reacting to his arrest in London, Minister of State for Housing and Urban Affairs Hardeep Singh Puri tweeted, "You can run, but cannot hide from the country's #Chowkidar. As wheels of justice grind, after Vijay Mallya, fugitive Nirav Modi has been arrested in London,"
Also Read:Nirav Modi in UK: What is the 'golden visa' the conman used to enter Britain?